Deborah S. Delisle is the Executive Director and CEO of ASCD. During Deb’s 40-year career in education, she has served as a teacher, gifted education specialist, curriculum director, elementary school principal, district associate superintendent, superintendent, state superintendent, and university instructor. She was nominated as the U.S. Assistant Secretary of Elementary and Secondary Education by President Obama in January 2012 and served in that position until 2015. In that role, she played a pivotal role in policy and management issues affecting preK, elementary, and secondary education and oversaw 86 programs with a portfolio of almost 26 billion dollars. Prior to her role at the Department of Education, Delisle was a senior fellow at the International Center for Leadership in Education with a deep interest in educator performance systems and creating transformative cultures in schools and districts. From 2008 to 2011, Delisle served as Ohio’s 35th state superintendent of public instruction and from 2003 to 2008 was the Superintendent of the Cleveland Heights-University Heights (OH) City School District. Deb has served on several boards, including the Governing Board of the Minority Student Achievement Network, Executive Board of the National Council for Accreditation of Teacher Education, the Council of Chief State School Officers Executive Board, NWEA, KnowledgeWorks, and the Center for Teacher Quality. In her role as Assistant Secretary, she served on critical cross-federal agencies partnerships including: Early Learning Interagency Council; Coordinating Council on Juvenile Justice and Delinquency Prevention; the Vice-President’s Council on Violence Against Women; Prevention of Substance Abuse; Ending Homelessness; and National Drug Control. Additionally, she has received many honors, including the Betsy Cowles Women in Leadership Award, the Buckeye Association of School Administrators Distinguished Service Award, the Ohio Education Association Vision Award, the Ohio Secondary School Administrators Distinguished Service Award, and was named as one of University Heights (OH) most influential people. 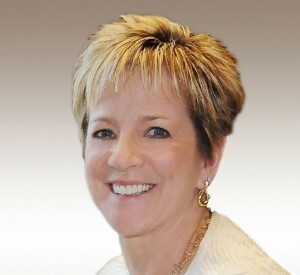 In August 2011, the Cleveland Heights-University Heights City School District honored Deb by dedicating a school as the Deborah S. Delisle Education Options Center to recognize her lifetime of service to students and, in July 2014, she was identified by the National Journal as one of five women in America who influence and shape national education policy.